I forgive him as I hope to be forgiven." Other witnesses testified that Hortman was sober and rational. In the end, in didn't matter. Miss Porter was dead and justice needed to be served. Less than two months later Hortman stood convicted of First Degree Murder. Judge G.W. Wakefield pronounced that Hortman should hang for his crime. After sentence was passed, Hortman fell to his knees before Louis Porter, father of the slain woman, and begged his forgiveness, which Mr. Porter eventually gave him. Cherokee County Sheriff Hogan escorted Hortman to the Anamosa Penitentiary to await execution, which was set for March 12, 1903. Hortman was not shackled during the trip, and was allowed to visit with his ailing grandmother before the train began its long journey east. In the end, Hortman escaped the gallows. He won a new trial and, in 1904, his sentence was amended from death to life imprisonment. He was returned to Anamosa where he remained for the rest of his life. Hortman was a model prisoner. He was known as "Snapper" to inmates and staff alike. He had one overriding passion in an otherwise drab and regimented existence. He loved baseball. The prison eventually named their baseball team after him (the "Snappers" were a prison fixture for many years) and allowed him to control the prison radio whenever the Chicago Cubs games were broadcast. Snapper loved the Cubs, and impossibly dreamed of watching the Cubs play in Wrigley Field. In the fall of 1932 the Cubs were closing in on the National League pennant. Hortman was now 56 years old, and in failing health. One day, in the prison yard, Warden Charles Ireland sat down next to Snapper Hortman, and talk quickly moved to their favorite subject -- the Cubs and the possibility that they were headed to the World Series. The warden said that he planned to get tickets to the Series in Chicago for himself and his 15-year old son, assuming the Cubs made it. Hortman replied, "Warden, if I could see the Cubs play, I'd be ready to die." Perhaps you can guess the rest of the story. The Cubs did, indeed, go to the World Series that year, getting swept by the mighty Yankees in four straight games. Warden Ireland attended the last two games in Chicago with his son. And, humanitarian that he was, arranged for Snapper Hortman, the lifer who loved the Cubs, to accompany them. 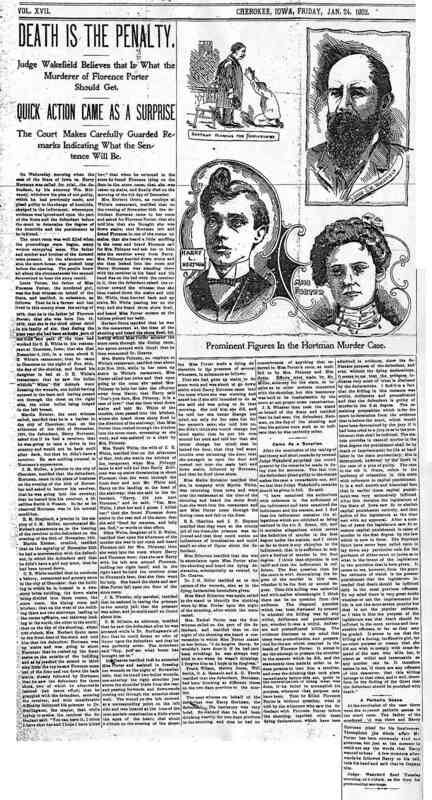 The prison chauffeur, an inmate named Wakefield, drove the trio to Chicago. They stayed overnight in a north side hotel, all expenses being borne by Warden Ireland. By all accounts the trip went smoothly and without incident. We can only imagine Hortman's state of mind as he sat excitedly in the Friendly Confines of Wrigley Field, cheering along with thousands of other Cub partisans, drinking in an experience he could, in his wildest dreams, have never imagined. He saw not only his beloved Cubs but the Yankee legends of Babe Ruth, Lou Gehrig, and Tony Lazzeri. 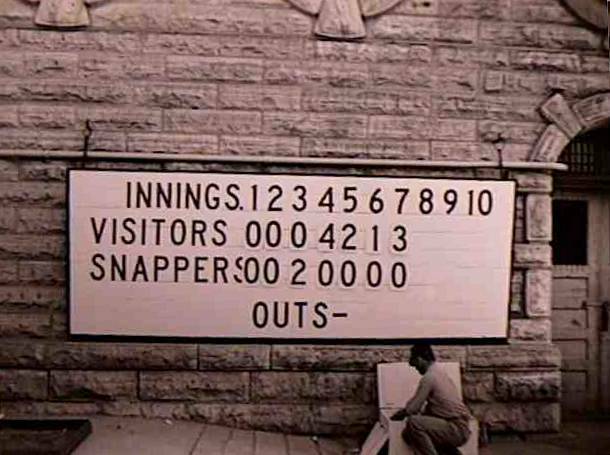 In fact, Snapper saw one of the greatest games in baseball history, Game 3 of the 1932 World Series, involving the Babe's famous "Called Shot". Ireland's decision caused a mild uproar at home. Iowa was about to elect a new governor, and the Democratic nominee, Clyde Herring, expressed outrage publicly at what he described as "pampering" criminals, especially during the depths of the Great Depression. Herring won the election, unseating incumbent Dan Turner. Did Snapper's improbable trip to Wrigley Field have anything to do with it? Ireland died the following year and Hortman the year after that. True to his word, he had seen his Cubs. And, in so doing, he was ready to die. Want to see the box score from the famous Game Three? Click here.